The Gold Rush follows the Tramp, this time as a poor prospector only with dreams in his pockets, as he searches for gold during a blizzard in Canada. On his journey to one day make it rich, the Tramp encounters wanted criminals hiding in cabins, is nearly eaten to death after being mistaken for a chicken, encounters faulty cabins that could be blown away in a blizzard at any second, and of course, stumbles upon a beautiful barmaid that he falls heads over heals with. The Tramp tries to win the love of the barmaid after he goes into a local bar one lonely night. Though due to his shabby appearance, he is rejected and goes back to continue his plight for gold. 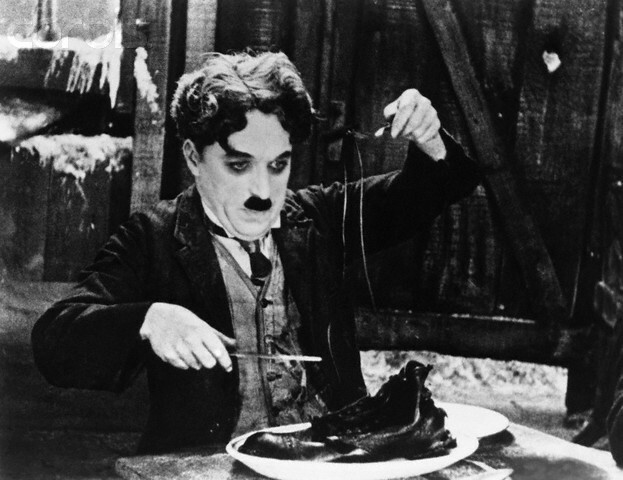 Why it’s worth your time: Almost every Chaplin film has something iconic about it. In The Gold Rush, it’s the scene where Chaplin dreams he’s having New Year’s Eve dinner with the love of his life, the barmaid. During this meal, Chaplin does the iconic bread roll dance to impress the barmaid and her lady friends. Many have tried to impersonate this bread dance in the years after the film, but no one has succeeded as well as Chaplin did. This film also continues to show the Tramp’s optimism and bravery in the feat of danger and defeat. He not only fights off crazed criminals in the midst of a blizzard, but he’s also persistent when it comes to making it rich during the gold rush and finding the woman of his dreams. Modern Times follows the Tramp around in a contemporary fast-paced world full of cruel machines, assembly line life, and poverty. The Tramp works in a factory and has a hard time adjusting to the chaotic life as a shop worker. After getting fired from job after job, he meets an orphaned girl, who stole a loaf of bread and is running from the authorities. Chaplin admits to the cops that he’s the one who stole the bread and is arrested. The rest of the film showcases the Tramp character as he goes in and out of jail after struggling to start a better life with the orphaned girl. 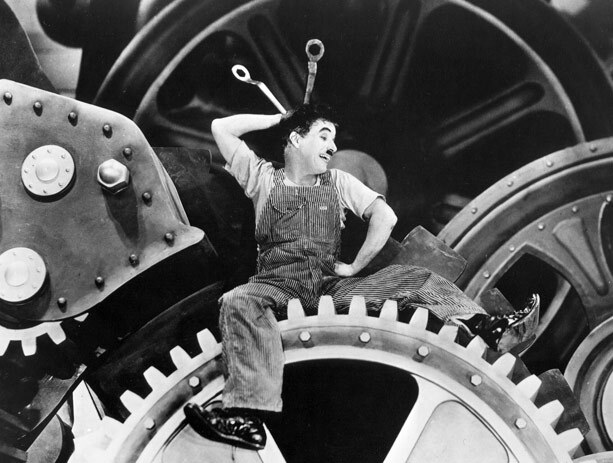 Why it’s worth your time: Modern Times depicts the Tramp in his absolute best form. Even at the worst point in his life, the Tramp is full of optimism and ready to try again. At the end of the film, when the orphaned girl and the Tramp have nothing left to their name, she is ready to give up. The Tramp doesn’t believe in that and tells her to “Buck up – never say die. We’ll get along!” He then motions to smile as the two walk off into the distance. The iconic song that’s played almost everywhere now, “Smile,” even debuted in this film from Chaplin himself. 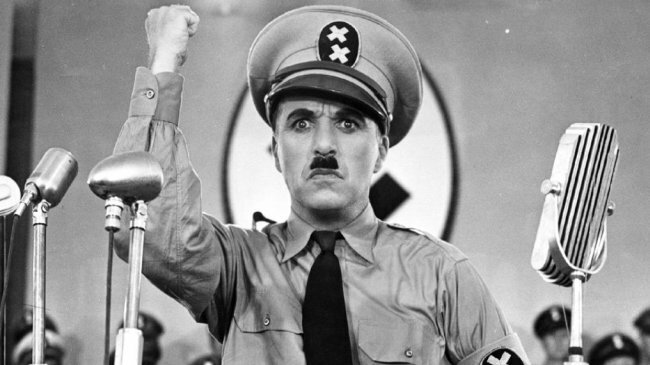 Believe it or not, The Great Dictator is Chaplin’s very first talking picture. Chaplin continued to make silent films way after they had become dated – and despite releasing silent films in a world full of sound, all of them were well received by audiences all over the world. The Great Dictator is one of Chaplin’s most complex works. The film is more of a satire on WWII, fascism, and Hitler’s rise to power. The film completely takes the piss on Hitler, his staff, and all that Hitler tried to be/accomplish during the war. Chaplin plays two distinct characters in this film: a Jewish barber under prosecution and the fascist dictator himself, Hynkel. Since the two characters played by Chaplin are obviously identical to each other, the two get their identities swapped towards the end of the film. Hynkel is mistaken for the barber while out hunting and the barber gets mistaken for the Hynkel while caught up in a parade honoring the dictator. Why it’s worth your time: Aside from the fact that Chaplin had the bravado to release The Great Dictator in the height of WWII, the film also has one of the finest speeches of all time. After the Jewish barber is mistaken for the Dictator Hynkel during the parade celebration, he’s forced to give a speech in order to survive. In the speech, the barber pleads for a world where life is free and beautiful, full of peace and without greed or hate. Despite being released in the ‘40s, that speech is even more apt in this day and age. The Kid is usually the first film that comes to mind when one brings up Chaplin’s name in conversations. It’s definitely one of his most iconic films of all time due to the performance of Jackie Coogan and the chemistry he had with Chaplin. The story begins after a distraught woman leaves her child in the backseat of a fancy car, in hopes her child will be well-taken care of in the future. The car ends up being stolen by a couple of no-good thieves, and the child is left on the doorstop of the Tramp’s home. After finding the child, the Tramp is reluctant to take him in, but he soon changes his mind and becomes his adoptive father. After a few years pass, the child and the Tramp are now partners in crime; the child purposely breaks windows and the Tramp is the one who repairs them. 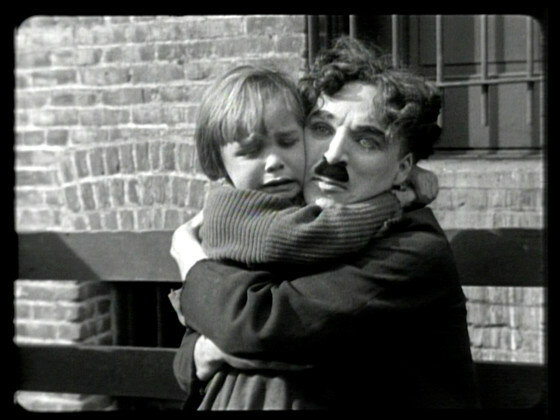 After the child gets sick, Chaplin fights for custody after others discover Chaplin isn’t his biological father. Why it’s worth your time: The on-screen relationship and overall chemistry that Chaplin shares with Jackie Coogan in The Kid is a once in a lifetime cinematic experience. Watching the film, one goes through the heartfelt journey of Chaplin trying to get his son back after he’s taken away from him. One only wants to root for Chaplin to get Coogan back because the most important thing is for the two to be together again. It’s an important film because it teaches all of us about being a parent and how important those relationships are throughout life. 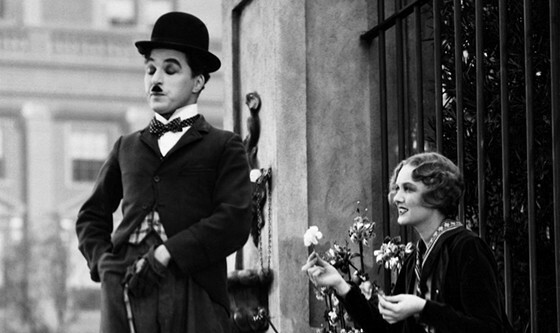 City Lights is without a doubt one of Charlie Chaplin’s best films. The story focuses on the beloved Tramp character and his developing relationship with a blind girl he meets selling flowers on the street. By some mix-up, the blind girl believes that the Tramp is a rich man. He never corrects her, and after he discovers there’s an operation to cure her blindness, he spends the rest of the movie trying to live up to her expectations. Why it’s worth your time: The story of the Tramp falling in love is so simple and was depicted so effortlessly by Chaplin. Besides the Tramp’s love story with the blind flower girl, there are some other great moments that transpire throughout the film. The Tramp’s struggle as he tries his hardest to help the blind woman any way he can is met with numerous comedic beats. The one that continues throughout the movie, even leading to his downfall at the end, is the Tramp’s evening escapades with a drunken millionaire. The millionaire only remembers the Tramp when he’s drunk – after he sobers up, the Tramp is often kicked out of his mansion or deemed a thief. Author Bio: Nia is a storyteller based in Los Angeles, where she spends her days joyfully making cartoons at Renegade Animation. Her lifelong love affair with cinema began as a child where she grew up on a strict diet of classic and animated films. Nia previously wrote for BuzzFeed and is currently a Co-Writer for Upcoming Pixar (https://pixarplanet.com/blog/). You can follow her on Twitter (https://twitter.com/aloofness).